Weighted down by the loss of her parents, Blythe McGuire struggles to keep her head above water as she trudges through her last year at Matthews College. 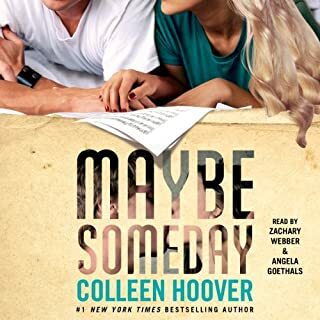 Then a chance meeting sends Blythe crashing into something she doesn't expect - an undeniable attraction to a dark-haired senior named Chris Shepherd, whose past may be even more complicated than her own. As their relationship deepens, Chris pulls Blythe out of the stupor she's been in since the night a fire took half her family. After losing almost all of her clients in one fell swoop following an accident involving whipped cream, private chef to Hollywood's elite Roxie Callahan gets a call from her flighty mother, saying she's needed home in upstate New York to run the family diner. Once she's back in the Hudson Valley, local organic farmer Leo delivers Roxie a lovely bunch of walnuts, and soon sparks - and clothing - begin to fly. Leo believes that everything worth doing is worth doing slowly...and how! Good story with excellent narration. Layken Cohen isn't your typical 18-year-old. After the recent death of her father, she is forced to be the rock for both her mother and younger brother. Outwardly, she appears resilient and tenacious, but inwardly, she's slowly losing hope. Enter Will Cooper: The 21-year-old new neighbor with an intriguing passion for performing "Slams". Will and Layken immediately form an intense and emotional connection neither of them knew they needed until it was found. Not for me. Too much teen angst. So, that was Matt. Who Julie Seagles likes. A lot. But there is also Finn. Who she flat out loves. But really, how was this freshly-minted Boston transplant and newbie college freshman supposed to know that she would end up living with the family of an old friend of her mother’s? This was all supposed to be temporary. Julie wasn’t supposed to be important to the Watkins family, or to fall in love with one of the brothers. Especially the one she’s never quite met. But what does that really matter? Finn gets her, like no one ever has before. They have connection. But here’s the thing about love, in all its twisty, bumpy permutations - it always throws you a few curves. And no one ever escapes unscathed. 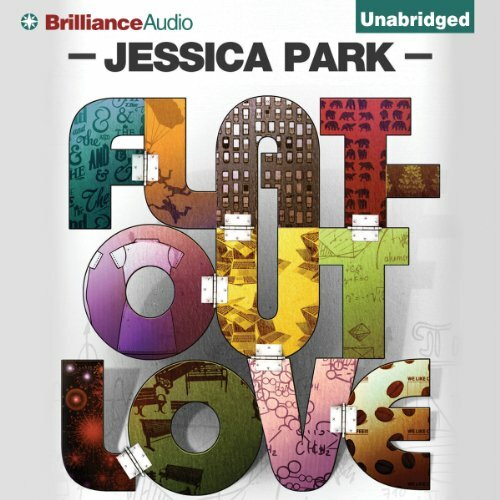 ©2012 Jessica Park (P)2012 Brilliance Audio, Inc.
First off ... I am a complete Nerd, so I am a huge fan of Matt and his quirky t-shirts and awkward social skills. I can totally relate. This book pulled me in from the start. I listened to it in two days... I enjoyed all the twist and turns of the book along with the modern draw of social media. 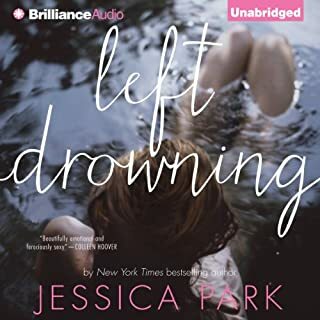 Jessica Park did a wonderful job of drawing me in and keeping me interested throughout. I have listened to the book twice now. 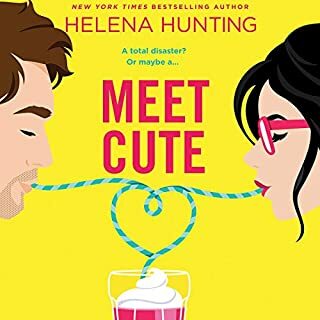 This story was quirky, fun, and predictable (but not in a bad way!). Even though the reader can figure out the underlying plot there are still aspects that are surpassing, amusing and touching. Julie arrives in Boston to start her first year of college only to find out the apartment she put a deposit on doesn't exist. Her mother pulls some last minute strings and Julie is off to spend a few days with a family of an old friend of her mom's. This Watkins family is ecentric. There's nerdy college student Matt, the Harvard professor mom, ultra brainy research analysis dad, and immature 13 year old Celeste. Out of the picture, traveling the world is the handsome eldest brother Finn. Oh, and then there's Flat Finn, the life size cut out of the real Fynn that Celeste totes around with her wherever she goes. While the family dynamics are certainly strange, Julie really connects with them, especially Finn who she strikes up an intimate on line relationship with via Facebook. But then there's Matt who she's really good friends with. Julia sets out to help Celeste loosen her dependence on Flat Fynn while uncovering the real reason behind the family's dysfunction. Would you consider the audio edition of Flat-Out Love to be better than the print version? I have both editions. 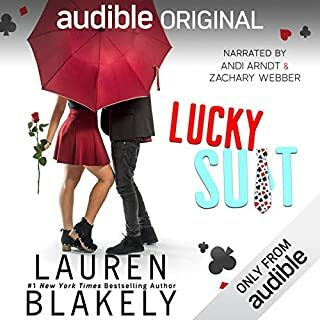 I have to say I really enjoyed the audio edition because the narrator did a wonderful job conveying the characters feelings. What was one of the most memorable moments of Flat-Out Love? One of the most memorable moments for me was when Julie realizes something is up with Finn and she confronts Matt about it. Matt's raw and heartfelt feelings totally moved me. This is the first time I've listened to this narrator. She did an absolutely wonderful job conveying the characters feelings. 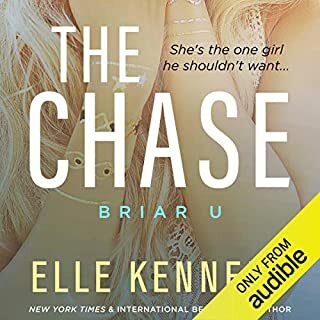 Where does Flat-Out Love rank among all the audiobooks you’ve listened to so far? This has got to be one of my favorite audiobooks. The story was good, engaging, romantic, dramatic, and sweet. The narrator's performance was incredible. I listen to 30 audiobooks a year, her narration was incredible. I might not have cried, but I definitely choked up and gasped. The story and performance was very emotional and it really came through. This was fantastic! I will definitely get more from this author and look for this narrator again. Excellent. When I read this book I "Loved" it, but hearing Julia Whelan narrate it...she brought it to life. I kept forgetting one person was narrating. The narration is what makes an audiobook. I loved the character Julie right from the beginning. If she were real she would be my best friend. The quick wit drew me in and the fun-loving bantar kept me there. Matt's nerdy geekdom and Celeste's intellectual calibur tugged at my heart and wrapped me around their lil fingers. This book is now on my "Favorite Books" list. This touching, heartfelt story is well played-out and well written. It tugs at the heartstrings and does have emotional moments so for maximum appreciation it helps if that's what you are in the mood for. I liked the characters very much (Celeste, for one, is an amazing character..so intelligent and precocious). Though I also very much enjoyed Julia and Matt's characters. There is a lot more to this story than the description reveals...this is the story of one young woman unexpectedly beginning a relationship with a family of highly intelligent and loving people who are also in severe denial and emotional trauma after a terribly sad loss. .. and, of the love she finds with one member of this family. In complete full disclosure, yes some readers may find it a bit predictable (depending on how your mind works at picking up clues) I picked up on what was going on about two-thirds of the way through the book, though I did not guess exactly what happened. That "moment of discovery" doesn't always have to be at the very end of a story. Honestly, that did not cause me to enjoy it any less. Julia Whelan's performance really enhanced the story and brought the characters to life. She does a wonderful job. I definitely recommend this one! I found it entertaining at first, however, it became predictable somewhere after chapter 18 and towards the end. What was most disappointing about Jessica Park’s story? I hate when it takes only a short read to figure out what was to happen in the story. But it is cute and rather stupid. A pleasant enough journey, though I was waiting for it to end too early in the book. The characters are somewhat flat as is the overall love affair which is the basis on which the book is built. But take it for a day and that is enough. Was Flat-Out Love worth the listening time? People 21 and younger would enjoy it more. Facebook updates bored me after a while. SWEET, DIFFERENT, CHARMING, INTELLIDENT, WITTY, FUNNY AND SAD ALL ROLLED INTO ONE. 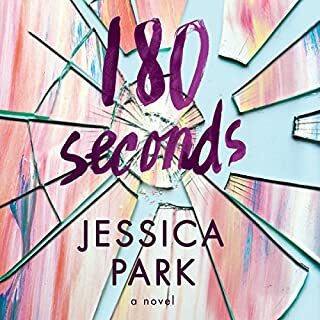 THE BOOK IS GEARED MORE FOR TEENS BUT I ENJOYED IT VERY MUCH AND HOPE MORE OF JESSICA PARKS BOOKS ARE MADE AUDIBLE. This was an easy listen and I loved the characters in this story. It is not your typical love story, and it was nice for a change.